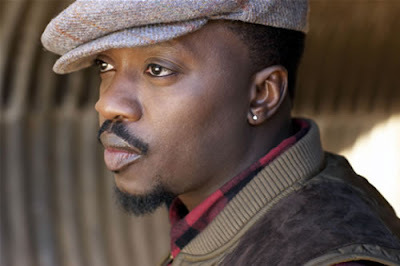 Tune into BET's 106 & Park Wednesday, October 22, at 6 p.m. to see Anthony Hamilton debut his video for "Cool," which features David Banner. It'll be interesting to see what questions hosts Terrence J and Rocsi ask him, particularly since Hamilton makes grown people's music (GPT-approved) and the show clearly targets teens. He'll likely still have a lot of fans in the audience, though, because many of the kids know him best from the hooks he sings on rappers' songs (one of the most recent is "Everything," his collaboration with Young Jeezy). I would imagine that Hamilton and Terrence have some type of friendship since they're both from North Carolina and they've been places together, including when both of them served on the panel for the Hip-Hop Summit that was held here back in April. Click here to read my blog post from that event nearly six months ago. That was right after I launched Grown People Talking. My, how time flies!